I know you’ve all had sleepless nights wondering, will she, won’t she? Will she bite the bullet and just do it or will she chicken out. 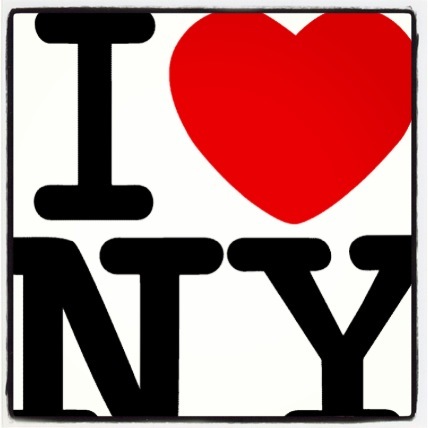 Well I’m pleased to announce that YES, this blogger is NY bound, baby! And to be honest I’m not really sure how it happened. One minute I was happily watching Law and Order and the next minute my husband looked up from his laptop and said ‘I found tickets to NY, let’s do it’. I’m sure part of me just said yes so I could see who killed the tattooed man found floating in the Hudson River- but regardless of whether I was distracted or not, the fact still remains that we are on our way! I’ve compiled a little photo montage (that is ever growing!) to show you some of the things I’m looking forward to doing while in NY. It’s our first time in America so I would love any advice, tips and recommendations. Anything from where to stay, where not to stay, where to eat and more importantly where to get good coffee! 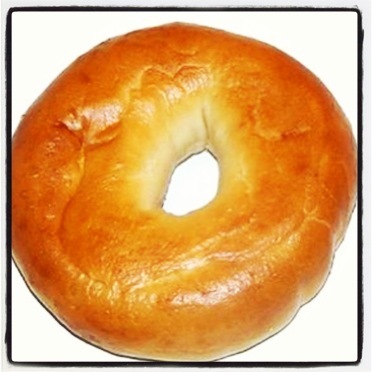 Can’t wait to try a bagel! Wonder if they’ll taste different to having one on Brunswick st. 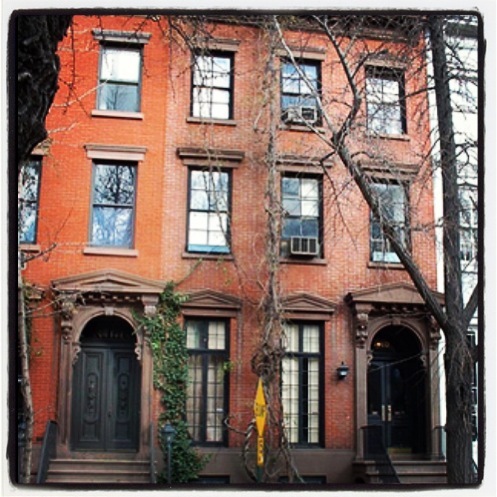 The Huxtable house!! I want to find it and sit on the steps eating my bagel. 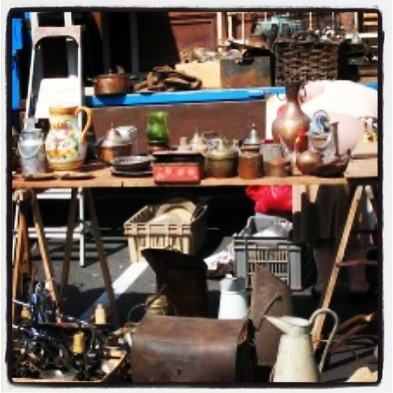 Vintage flea markets will definitely be visited! 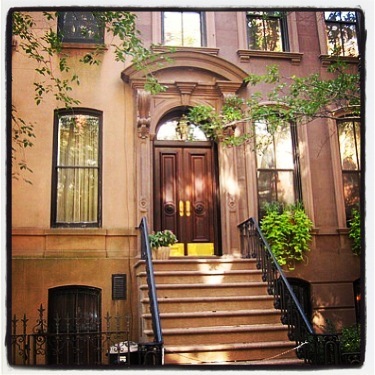 Carrie Bradshaw’s house! I want to run up down those stairs in impossibly high heels and a fur coat! 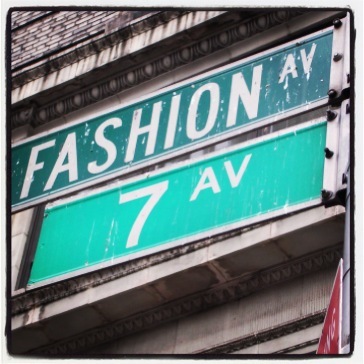 Can’t wait to check out the street art! 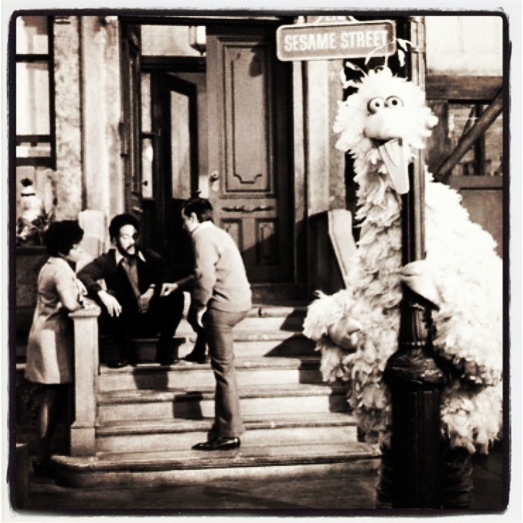 Ever since I was a little girl, I always imagined Sesame Street was a real place where Big Bird walked the streets and Oscar the Grouch lived happily in his trash can. 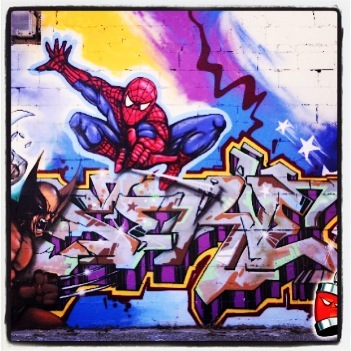 So for this reason alone, Brooklyn is very much on my list of places to see! lets get together and have a chat.